I came across the brand through the wonders of Instagram and immediately fell in love for what they stood for—seeking adventure while turning away from electronics and taking in the outdoor wonders. This speaks very much to our lifestyle!! 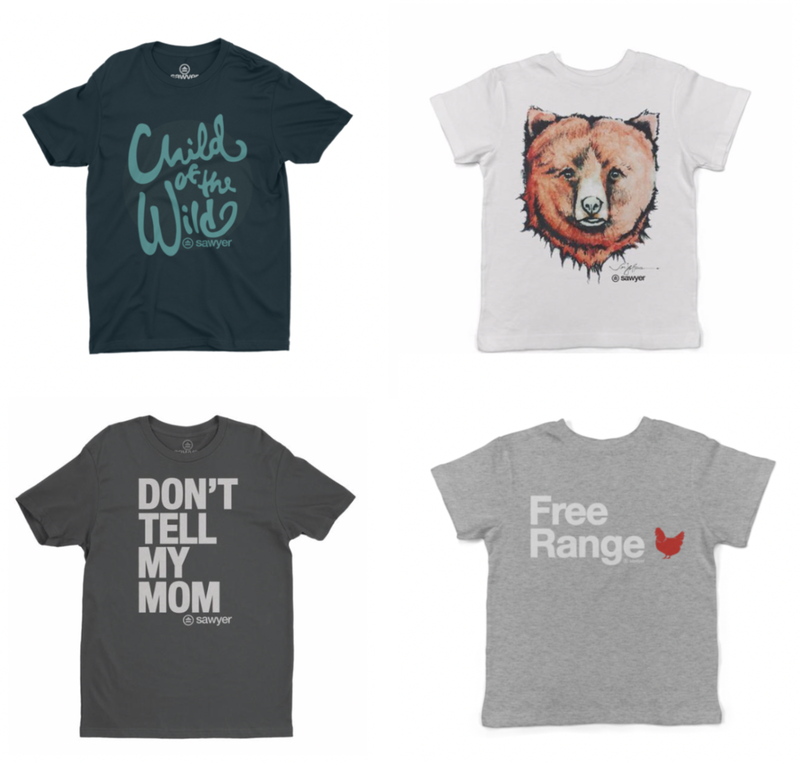 Aside from the great message they “donate 10% of profits to causes that support kids in need and preservation of our natural environments.” That made me just love them more and became eager to purchase some shirts. Upon delivery I left it for Deacon to open up (what kid doesn’t LOVE to open a package). Immediately, he was thrilled with the shirts I bought him. He laughed about Free Range Chicken. Thought the graphic of the Bear image was really cool. His response to the “Be Outside” shirt was empathic by stating, “I love being OUTSIDE! !” I knew it was a hit! We’ve had the shirts for a month and Deacon regularly looks for the shirts so he can wear them as often as he can. With the shirts being tag-less there is ZERO complaining about something scratchy. HUGE BONUS POINTS!! Even with the amount of washes the shirts have undergone they still remain soft. Aside from t-shirts they also have trucker hats, beanies, and hoodies. I cannot wait to stock up for Holidays and surprise Deacon with new gear! Today we’ve partnered up with Be Sawyer for a GIVEAWAY!! Winner will receive a $50 credit to purchase fun, active gear for your kiddos!! Entering is extremely easy!! Plus, who doesn’t love a giveaway?!? !